Welcome to our homepage. Please browse around and take a look at what we have to offer. I hope that we may be able to help you in what ever project you may have planned. 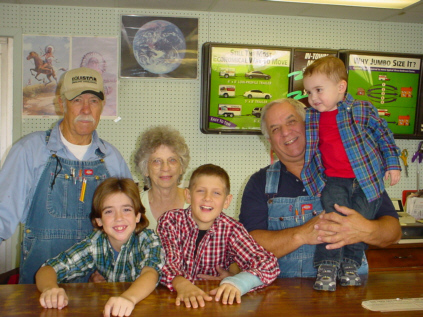 Wendel's Tool Rental is family owned and operated. We started out in 1963 as a small service station and in 1971 went into the rental business. 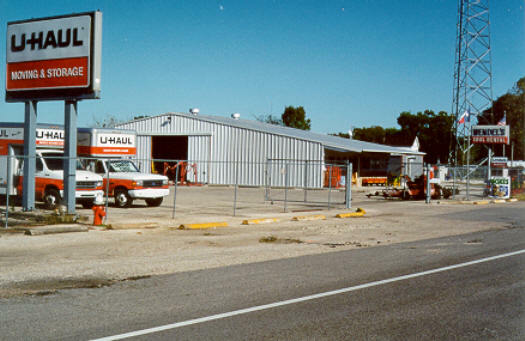 We have served the Alvin and surrounding communities for 38 years. I am Anthony Wendel, I took over the business from my dad ,Robert, four years ago when he decided to retire. My daughter, Amy, and my mother, Bonnie, keep up the daily task of helping to run the store. We offer the full line of U-Haul rental trucks and trailers along with Drawtite Hitches for most full size pickups. We also have outdoor storage for your mobile home, travel trailer, or boat. Click on the links to the left and take a tour of our site. Dad has started a woodworking shop since retiring. To see some of his handy work, click on the Wagon link to take you to his page. There you can find out about the miniature farm wagons he builds along with some Nolan Ryan signature series.